I have fond memories of panda pops back when I was at school. They were one of my favourite treats from our local shop, usually on the walk back from school. Well the iconic drink has made a comeback! The new range consists of still juice drinks, flavoured waters and squashes. The still juice drinks come in raspberry and blackcurrant flavours, the flavoured water comes in orange & pineapple and blackcurrant flavours and the squash comes in either tropical or summer fruits flavours. We were sent samples of the blackcurrant flavour Panda Splash flavoured water to try out. 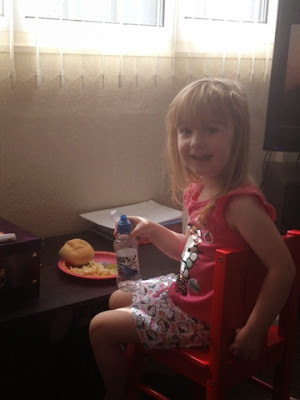 The 250ml bottles make them ideal for lunchboxes, picnics or even just to keep in your bag as a handy drink whilst out and about. I love the handy size of the panda pop drinks. At £1.99 for a pack of six they are great value for money. They have a very refreshing taste meaning when the kids had finished drinking theirs they didn't ask for more straight away like they do with many other drinks but it was their first choice when they wanted another drink. I also like that they only contain natural flavours with no added sugar. We have actually bought Panda drinks a few times since being sent these samples. They have become a favourite with all of us especially the bottles of squash. Although Gracie doesn't yet take lunches to school, it'll be our first choice for a lunchbox drink. 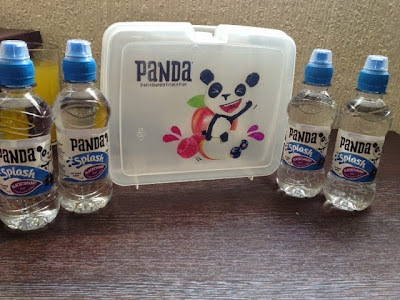 Panda Still juice and Panda Splash are available to buy at Asda, Tesco and Ocado. Panda squash is sold in Tesco costing 99p for a 1 litre bottle. we were sent samples of the item featured for the purpose of this review. All opinions are my own. I loved fish and chips crisps!! What a blast from the past! I've never heard of Panda Pop, but would love to buy it for my Step Kiddos. I really love that they don't have added sugar, and the flavours sound great! You've seriously missed out they are really nice! I have to say I do drink them myself too!